Dr. Luo is a visiting scholar with the Center for Folklore Studies, and Dr. Mark Bender is her sponsor. 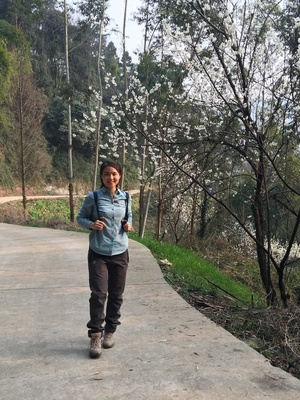 Her current research project explores the impact and function of social media in social consensus building among new minority immigrants and local Han citizens in contemporary China. Her dissertation is titled, "Exotic Mirror: National Geographic's Representation of Southwest china, 1888-2013," and her MA thesis is titled "Communication or INvasion? Analyzing the Early Chinese Periodicals of Christian Missionaries." Rododendron and Crossbowman: The Image of Southwest China in National Geographic. Taiwan: Huamulan Press, 2016. M.A., Journalism, Sichuan University, Chengdu, China (June, 2005).